Gary Bennett joins the Bishops!! 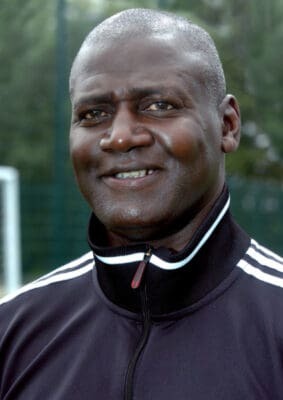 The Club is delighted to welcome Gary Bennett to the Club as Assistant Manager. Gary has agreed to support our manager Steve Riley initially until the end of the season. We know Gary will bring to the Club a high level of professionalism demanding high standards both on and off the field and will support our aim to play football at a higher level. A defender, Gary began his career at Manchester City before moving to Cardiff City where he made 87 appearances scoring 11 goals before moving to Sunderland where over 11 years with the Club he made 369 appearances scoring 23 goals. He played in the Football League Cup Final at Wembley where Sunderland were defeated 1-0 by Norwich City in 1985. After leaving Sunderland Gary played for Carlisle United, Scarborough and Darlington where he also had a spell managing both the first team and the reserves. During his career Gary has made over 600 football league appearances scoring 61 times. Gary has coached at Middlesbrough FC’s academy and is involved in a coaching academy he set up with Julio Arca and he also coaches the football teams at Sunderland University. Gary is also actively involved in the ‘Show Racism the Red Card’ organisation which he joined in 2003.